When you work in the heat, you’re going to want workwear that gives you protection without suffocating your feet, and Danner’s Men's 15552 Bull Run Brown EH USA-Made Boots does just that. The deep brown leather is more than just attractive. The outer layer ... (see full details) (see specifications) #DNN15552. When you work in the heat, you’re going to want workwear that gives you protection without suffocating your feet, and Danner’s Men's 15552 Bull Run Brown EH USA-Made Boots does just that. The deep brown leather is more than just attractive. The outer layer of the full-grain leather uppers of this footwear is highly resistant to abrasion, and the inner layer is capable of absorbing high amounts of moisture. Your feet are protected in and out, both from outside elements and your own sweat. Since these men's boots are unlined, the full-grain leather uppers not only keep your feet cool, but this work footwear will gradually conform to the shape of your feet. These premium shoes also feature Goodyear Welt construction that allows for airflow to keep your feet drier and healthier. This construction also can extend the life of your American-made boots. as it allows soles to be replaced. Goodyear welt construction means that the outsoles are stitched to the uppers and the linings with a strip of leather between them with one sturdy seam, giving you tough, long-lasting brown footwear. After the inner and outer soles are stitched together, a flexible cork compound is put in to fill the gap of the inseams. Combine the fact that this compound molds to fit your feet with the stability the heavier Goodyear Welt construction provides, and you have a pair of leather boots that will give you the best stability possible. Nylon shanks give your arches added reinforcement, too. The soles of this exceptional footwear are constructed with Vibram rubber, which is durable and long-lasting, while still being soft enough to provide your feet comfortable, shock-absorbing cushioning. Specifically, the men's footwear is manufactured with the Vibram 4014 Cristy outsoles. These soles have a shallow tread pattern that allows for ultimate surface traction and prevents the build-up of mud and grime. And, if you work around any potential electrical hazards, step with a little more confidence knowing that these Bull Run shoes are designed with non-conductive soles and heels that are shock-resistant, and they meet or exceed the ASTM F2892-11 electrical hazard rating. For those long, hot days, you’ll want to be wearing Danner’s Men's 15552 Bull Run Brown EH Slip-Resistant Boots. So go ahead and order your own pair online today from the Working Person's Store. These are great, durable, everyday work boots. The leather is great quality and deals with dings and scratches well. I've worn them in both hot and cold weather and the boots have dealt with both just fine. The boots are comfortable but they're very stiff at first and require a few months to break in. Boots are moderately stiff, as a good boot should be. 2 weeks break in time and they were fine. I soak mine and then mink oil them heavily while slightly damp, which helps. I also add a thin insert as I am construction trash [proudly] and am on my feet all day climbing, carrying loads, walking over rough terrain, etc...very good craftsmanship and the only boot I would wear besides a Thorogood. I typically get 12 to 14 months out of my Thorogoods and expect these will last at least that long. Boot break-in is very important, I tend to do that around the house for a couple of days/evenings. Sore feet on a construction site is not good. The inserts and laces that come with the boot are good but for me, an additional THIN insert and leather laces is the way to go. I have only worn Redwings [great boot, not cost effective] and Thorogoods [Great boot, period.] for the past 25 years, but love the Danners' so far. Thank you for your hard work and personal concern. You are truly exceptional. On the Internet there are so many scammers and I was ready to stop doing business with any dot-commer, but because of you, my mind has been changed. 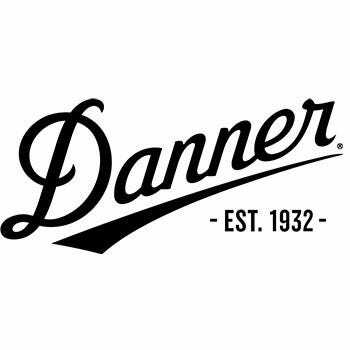 Danner Boots: Men's Brown 15552 EH American-Made Bull Run Boots is being added to your cart.